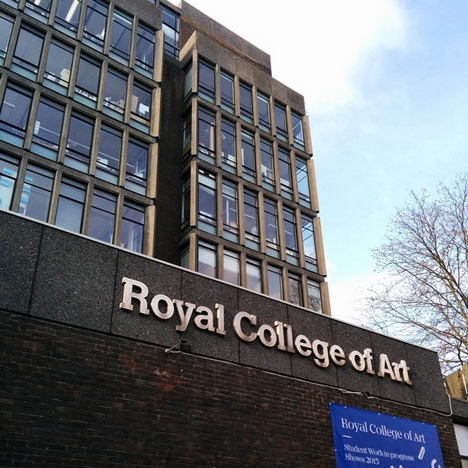 "The RCA's reputation is going down pretty fast"
Comments update: London's Royal College of Art is in the spotlight this week on Dezeen following more staff departures and the suspension of its world-famous Design Interactions course. Read on for more on this and explore our comments page to keep up with the latest discussions. What's going on at the RCA? RCA rector Paul Thompson sent an internal email accusing departing staff of forcing the school to suspend one of its most important courses. The story revealed the latest in a string of staff losses – prompting readers to question the institution's position as the world's top design school. "The RCA's reputation is going down pretty fast," wrote Andrew, who went on to comment on a changing staff-to-student ratio at the college. One reader criticised Thompson's handling of the situation, while others felt it was "reasonable" to expect staff to serve their full notice. Medal melodrama: Zaha Hadid was named as the recipient of the 2016 Royal Gold Medal for architecture, but a subsequent interview on BBC Radio 4's Today programme dominated headlines after quickly going sour. "She's not a politician, she's someone who has just been awarded a very prestigious medal for her architectural achievements and if I were her I'd have felt disappointed and ambushed by the unconstructive tone and line of questioning," said Paul. London's burning: the debate surrounding the future of London as a creative centre rumbled on after Norman Foster said that rising costs would push out designers and artists – but suggested it might not be a bad thing. His comments sparked a debate about wages in the creative industries. "Why don't [employers] just pay creatives correctly, like in other businesses?" asked Boby. Tree tops: Vietnamese studio Vo Trong Nghia Architects unveiled plans for a trio of towers linked by bridges and covered in bamboo plants this week. "It looks OK," said Jonathan Tuffin, "but if the balconies are privately owned you can forget about it being covered in bamboo for the duration." Main image via Lokkee on Instagram.